First and foremost, thank you, thank you, thank you to everyone who left me kind words here and on Instagram, regarding our recent trip to Calgary for the boys' G Tube surgeries. Your support meant the world to us. 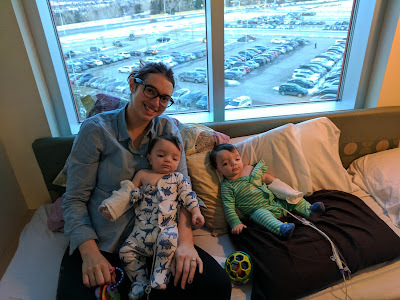 The boys did great, although they hated the pre- and post-op fasting (poor hungry monkeys), and their sleeping schedule was torn to pieces (but I think we have things figured back out now). Here they are, hating the towels wrapped around their arms to keep them from getting at their IVs, but otherwise fine, and thrilled not to have tubes in their noses. 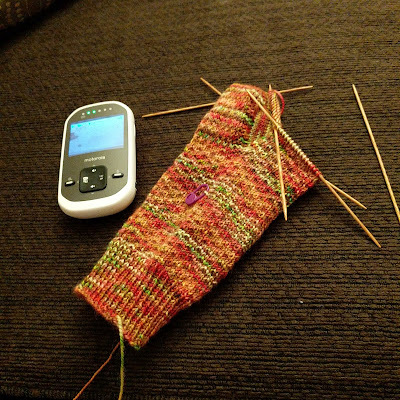 As for hospital knitting, I did the third lace section on my Find Your Fade, and cast on a sock. Ooooh the sock. Word for the wise, don't try to knit a heel when you are badly sleep deprived and trying to knit most of a sock in two days. This will happen. My beautiful sock (my own hand dyed yarn, pattern is Hermione's Everyday Socks), complete with heel flap and gusset decreases....but no heel turn. I realized this while trying to re-Ferberize the boys at 3 am.... since patting and rocking them back to sleep every hour is fine for hospital stays but not for real life. 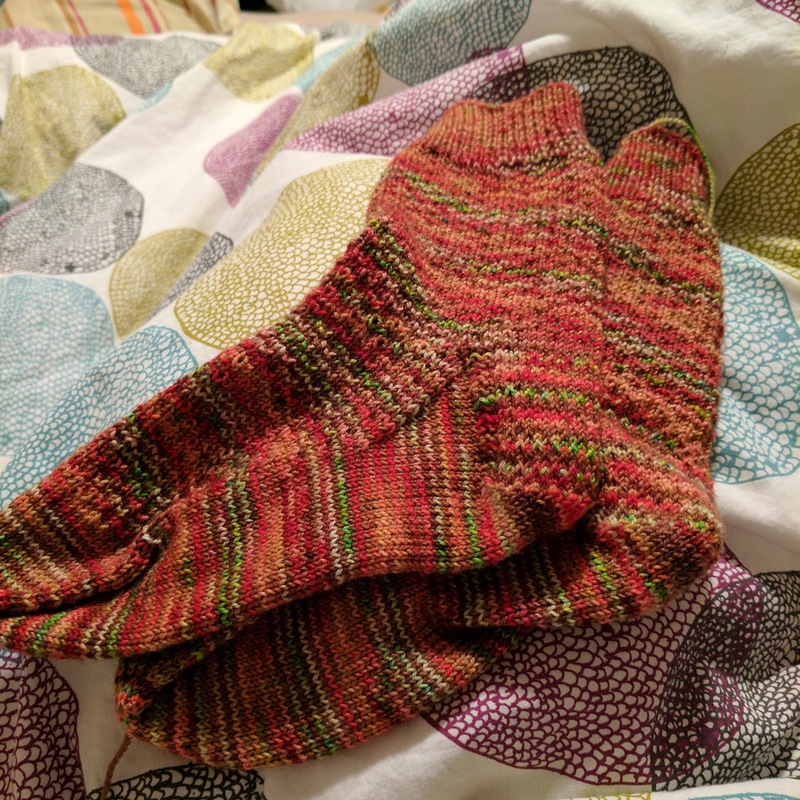 Even with the rip back and re-knit, I did manage to finish the pair in time for them to be my January socks. (2.5 hours to spare... I may still need to weave in some ends tho). We'll be back tomorrow to discuss how many shawls is too many to be knitting at once, and show off my Cozy Shlanket. Oh and yes... I stress bought yarn.... in person and online... I won't tell you how much tho.